I have determined that this incident is of such severity and magnitude that effective response is beyond the capabilities of the State and affected local governments, and that supplementary Federal assistance is necessary to save lives, protect property, public health, and safety, or to lessen or avert the threat of a disaster. On Sunday August 28, when it became clear that Hurricane Katrina was going to score a direct hit on the city, Mayor Nagin, the Mayor of New Orleans, ordered the first time ever evacuation of the city. 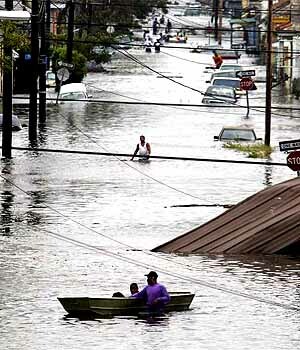 On Monday, August 29, the category 4 hurricane Katrina hit New Orleans. The danger of a hurricane in New Orleans very real because much of New Orleans is below sea level. The city is crisscrossed by canals connecting Lake Pontchartrain, the Mississippi River, and the Gulf of Mexico. The levees were built around the canals to protect the city from flooding when surrounding water levels would rise as they would when hurricane winds would stir up the water. 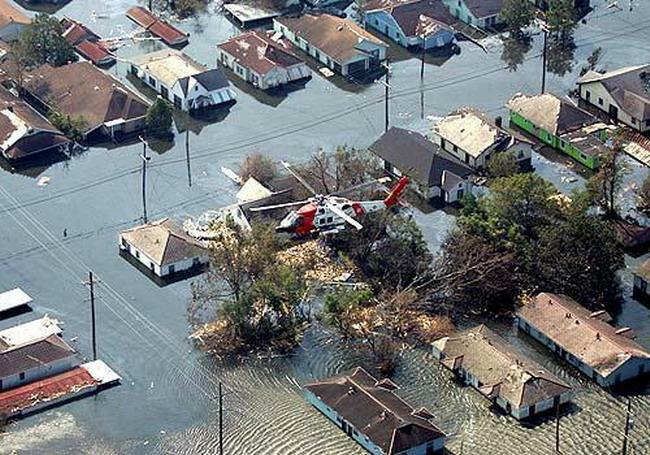 On Monday, the worst catastrophie for New Orleans happened: water overflowed the levees. By Monday night, some levees had been broken through. About 80 percent of the city was flooded with water up to 20 feet deep after two of the levees collapsed. Flooded residential neighborhood in New Orleans. A search was made with key words New Orleans and Anger and Wrath. The results were not statistically significant. 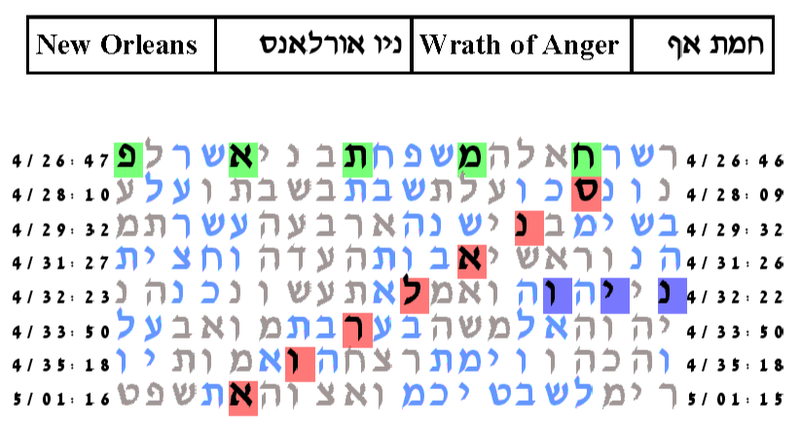 Anger and Wrath was altered to Wrath of Anger. The results were significant. The smallest area table is shown below. The expected number of ELSs is set to 40. The resulting table is on a cylinder size of 2525 columns. The probability that a monkey text in the ELS random placement text population would have as small a table as this one is 9.5/1,000.